Happy Mother’s Day to my mamaleh! 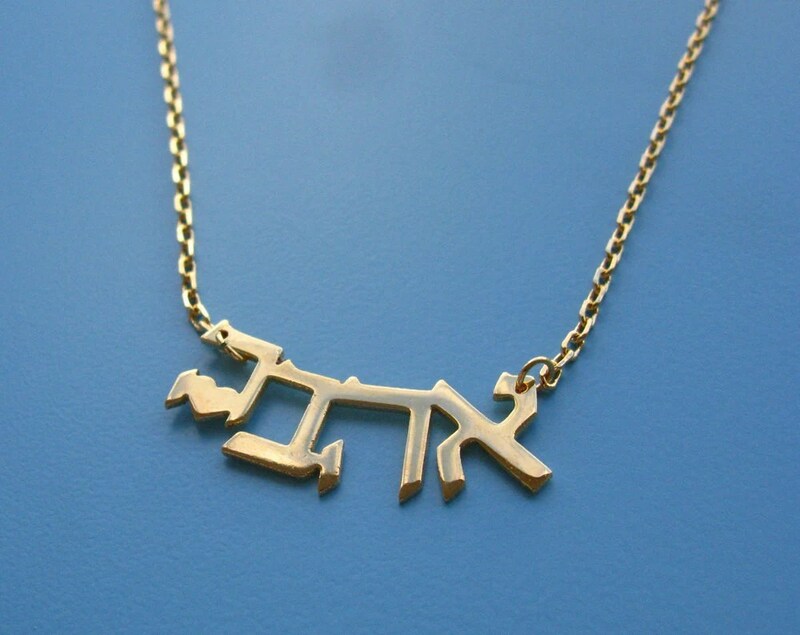 A simple, chic piece with a very subtle Jewish touch. I love how it turned out and hope my mom likes it! I may have to find some more of those star toggles… What did you get for Mother’s day, mamalehs? A fun “Challah Back” apron from Pamela Fugate Designs. They also have it in a cute tote as well. My apron helps me make challah in style. 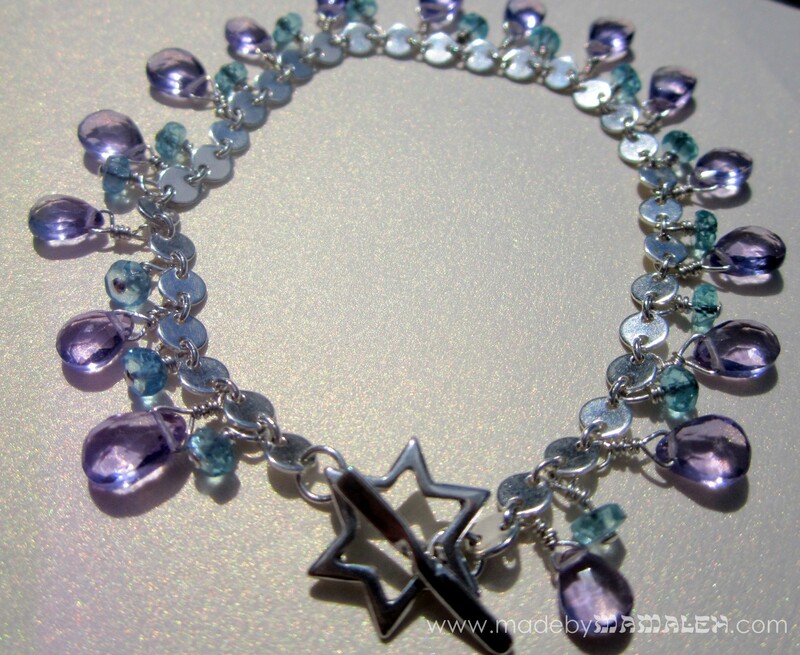 Last year, my husband and son got me my “Mamaleh” necklace from Rabbi’s Daughters which helped inspire the name for this blog. You can’t go wrong with jewelry especially something as fun and cute as this. Really, everything on their site is cute so I’m sure you’ll find lots of other ideas too (for your mom or yourself). 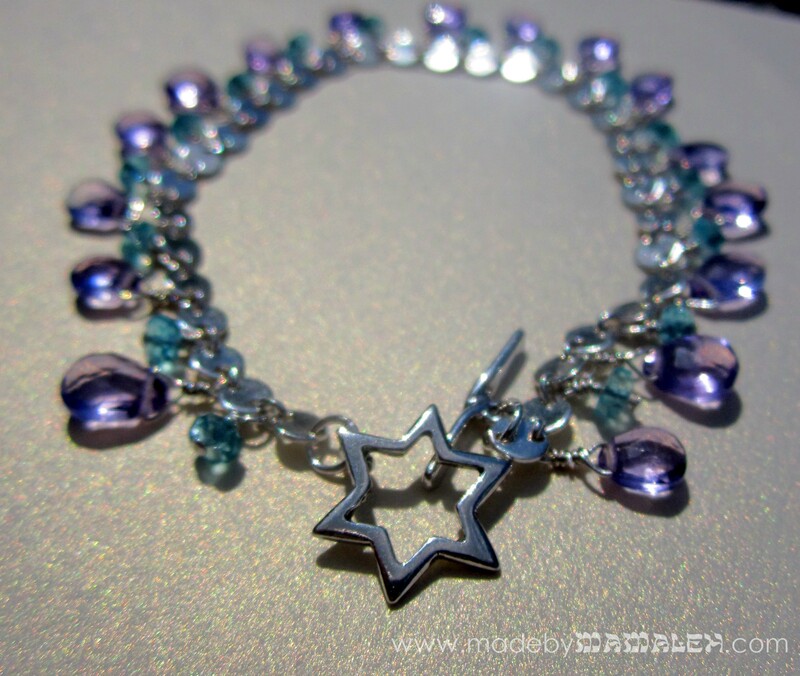 One of my favorite Judaica artisits is Emily Rosenfeld. I love how modern and simple her pieces are. We have the Noah’s Ark mezuzah for my son’s room. A great mother’s day choice would be the Tiny Heart Necklace with each child’s initials in Hebrew (either for their English or Hebrew names). Does your mom exist on drink coffee (or tea)? 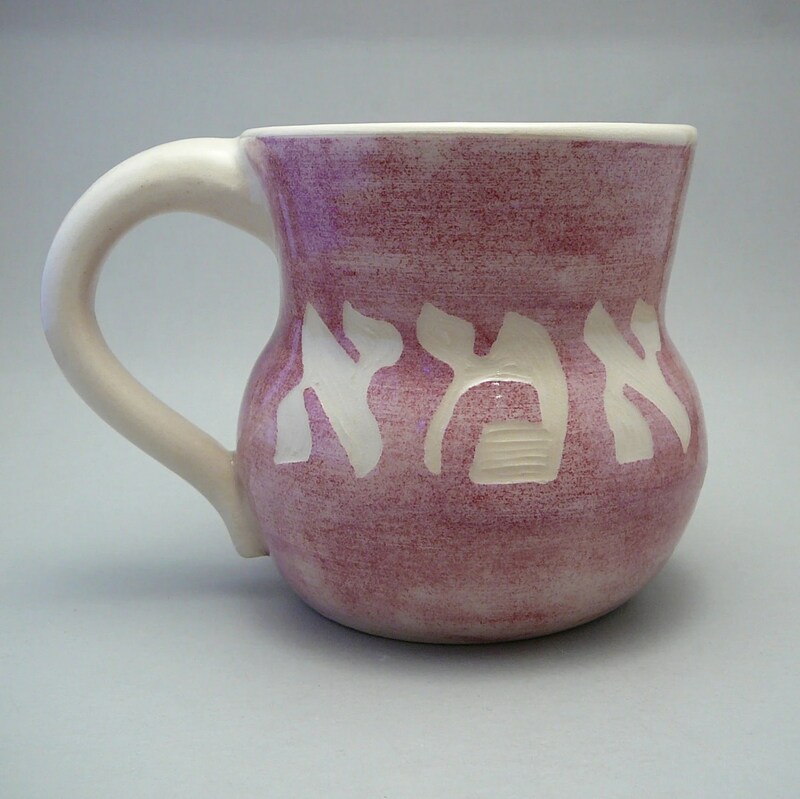 How about a gorgeous handmade “Ima”(“mom” in Hebrew) mug for her from AgruArtsCeramics. Hopefully you now have a few unique MOT Mother’s Day ideas for your mom or yourself (just be sure to forward this to whoever needs to know). Happy Mother’s Day!